KAPTI (Kerala Ayurveda Panchakarma Training Institute) offers quality education and certified courses in Ayurveda panchakarma and Yoga Therapy. We are here to help you understand the scientific aspects of Ayurveda and its practical knowledge, to create efficient scholars and skilled technical practitioners in the field of Ayurveda worldwide. Our courses are designed by professional Ayurvedic practitioners, philosophers and scholars in Ayurveda, which ensures you the strong foundation in the theoretical aspects and can help you perform Ayurveda therapies with confidence. Gurukula is the concept from ancient Indian education. Gurukula literally means a place where Shishyas (aspirants of Knowledge) associated with Guru (Person who can remove the ignorance) to get enlightened. 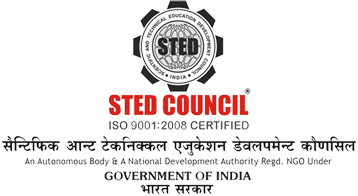 We provide quality education and certificate courses issued from STED Council (Scientific and Technical Education Development Council) which is an ISO 9001:2008 Certified Organization under Government of India. We welcome all good students having a genuine interest to know about Ayurveda and those who wish to Practice Ayurveda panchakarma therapies at India and abroad. No previous experience required. To keep up the quality of our program, We take only 10 to 14 students in a batch to maintain the quality of the course and also to give special attention to the students in particular. Our new ayurveda training classes starting soon. Copyright 2015 Kerala Ayurveda Panchakarma Training Institute (KAPTI)™ All rights Reserved.